Michael grew up in Georgia and Ohio. 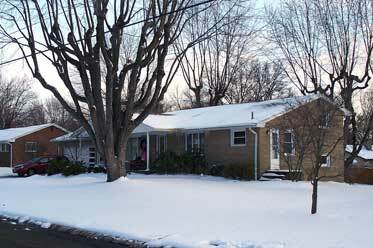 Below, you'll see the Ohio house Michael grew up in, where we were also living in 2010-11. Above right, we zoom in to the porch to see Mary and Joseph (from the Christmas story) joining the rest of us in waiting for Christmas after the first snowfall (in Dec 2010; also notice the icicles; to see more Ohio snow photos, visit the Akron University page). The window sign is a Christmas decoration Michael made many years ago, which says "Jesus is the Reason for the Season." 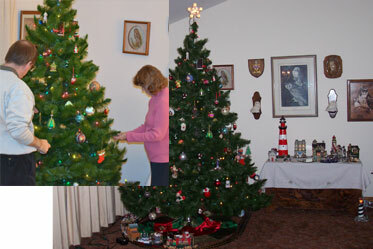 The photo below shows the tall Christmas tree at Michael's parents' house--but it was sad not to have our usual "Tree Decorating Party" with students while we were in the US (that was before I started teaching at Akron U). Can you tell that Michael's dad likes owls and lighthouses? 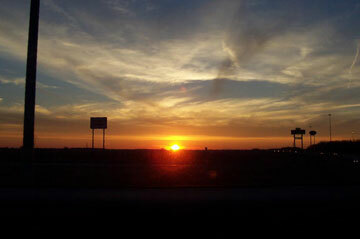 (Below right) Andrew snapped this pretty sunset along one of Ohio's busy highways (2004). 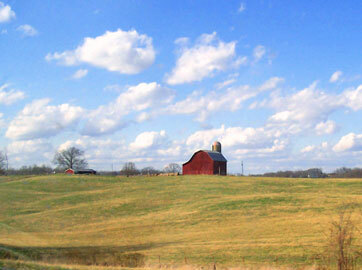 Ohio is a populous farming state with rolling hills and lots of rural areas. The population (2002 estimates) is 11.4 million. The two biggest cities are Columbus (0.7 million) and Cleveland (0.5 million). Seven US presidents were born here. It also has America's biggest university campus--The Ohio State University in Columbus. 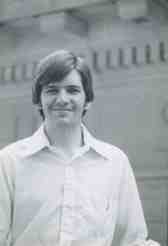 Michael studied there from 1978-81 before transferring to a college in Pennsylvania. 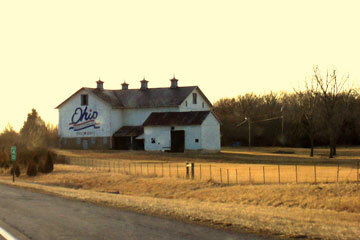 The sign painted on this barn celebrates Ohio's bicentennial (200th birthday in 2003). Michael attended the Ohio State University for three years (1978-81), before transferring to Eastern College in Pennsylvania (after spending 8 months in England). 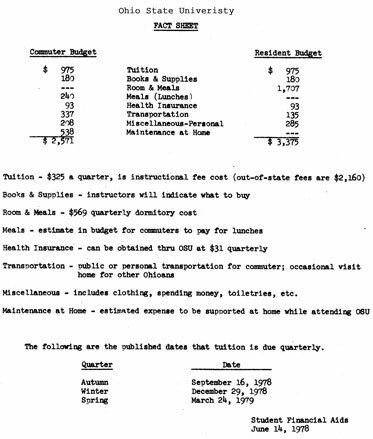 This is a letter from OSU (a great school, by the way), showing that tuition in 1978 was $975. (In 2010, it is $9420!) You can compare this to another college costs in "the old days" on our Pennsylvania page. I have very few photos from my college days, but I remember taking this self-portrait for a photography class. 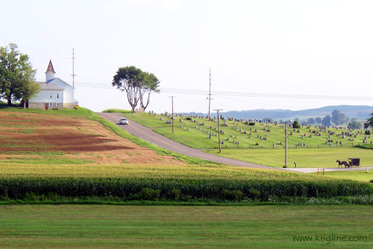 This photo was taken in Ohio's Amish country in August 2010. Many internationals don't realize that some Americans still choose to ride in horse-drawn buggies! Google "Amish" to find out why. 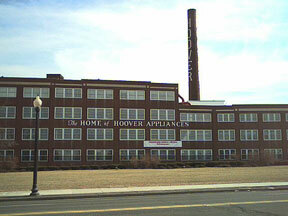 North Canton, where Michael grew up (grades 8 to 12), is the home of the Hoover corporation, known worldwide for home appliances. Unfortunately (for the local economy), Hoover sold out to a Hong Kong-based company (around 2002) and closed the factories, leaving many people out of work. (Left) This was the company's first big plant, right in the center of North Canton. It now is mostly empty, but a few small businesses and a community college rent part of the space. (Center) Cleveland, situated on Lake Erie, is one of Ohio's three largest cities. 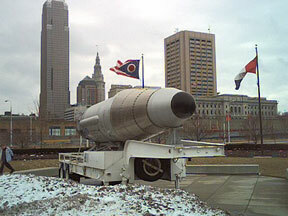 This NASA rocket is on display outside one of the city's fine museums. (Right) This statue is in Ohio's capital city, Columbus. 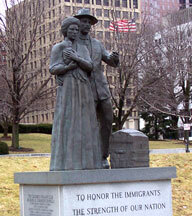 The caption reads: "To honor the immigrants, the strength of our nation. A gift to the city of Columbus from the United Italian Americans--1992." These photos show some of Andrew's educational activities during our 2004 trip to the US: (left and center) a trip to the COSI museum in Columbus, and (3rd photo) a pine car racer project. Andrew also enjoyed playing in Ohio's snow during our 2004 visit. When we are in the US, we love sharing with others about our experiences in China. 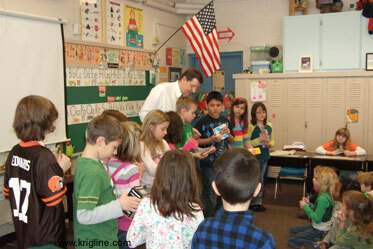 On the day after Chinese New Year (Feb 2011), Michael and Vivian got the chance to talk about China with about 60 second graders! 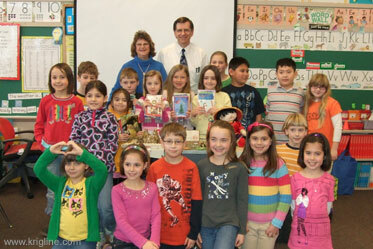 They were students at Orchard Hill Elementary in North Canton, Ohio. I had told someone about how we cut up old Christmas cards in China, letting our students create greeting cards. Well, these students collected a huge number of cards to help others learn about American culture! While "helping others," these kids were also learning to appreciate people in other cultures. 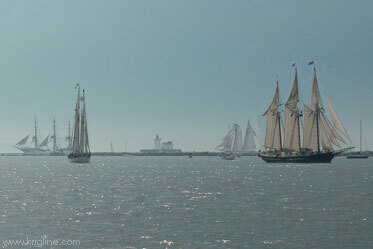 In July 3013, we enjoyed a "tall ships parade" in Cleveland. 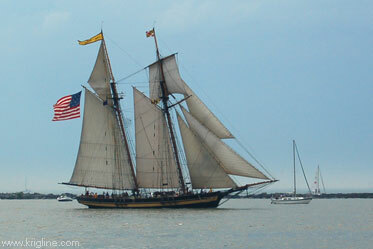 These beautiful ships were on Lake Erie to commemorate important victories in the War of 1812. 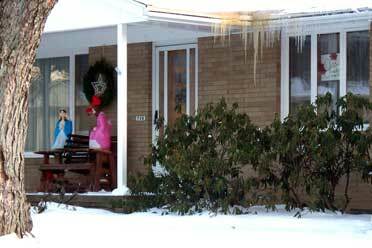 From the pictures above, one might think it is always cold in Ohio. Not true! We have very hot summers, and beautiful springs. 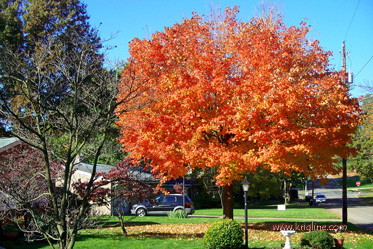 One of the things Vivian enjoyed most about our year in Ohio (2010-11) was the changing seasons. 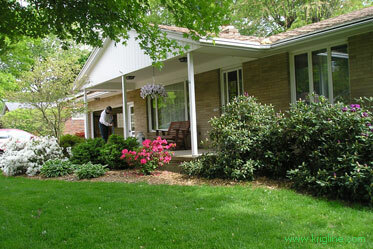 This is Michael's mother on the front porch, enjoying the blooming flowers of Ohio's springtime.